way to ensure you’re the life of the party. OK, so it’s not a rock-solid guarantee, but at the very least, we know you’ll be really well appreciated. 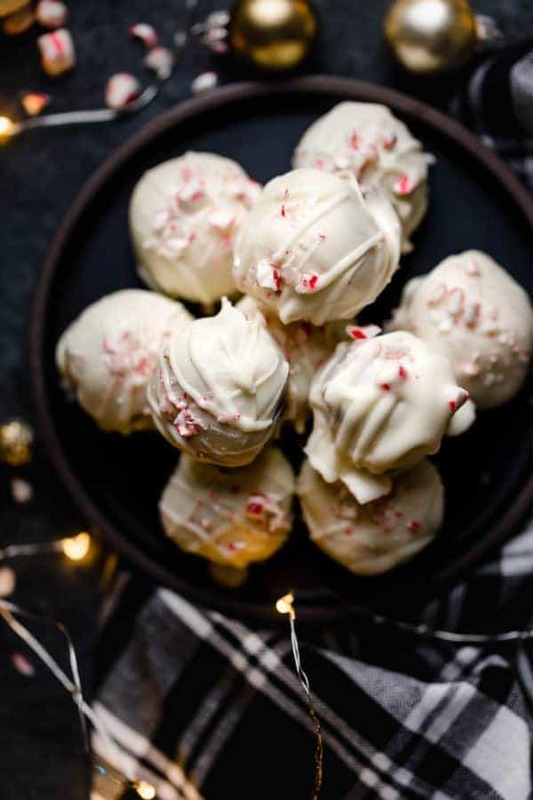 And why wouldn’t you be when you’ve got these soft and decadent little orbs of joy to share? 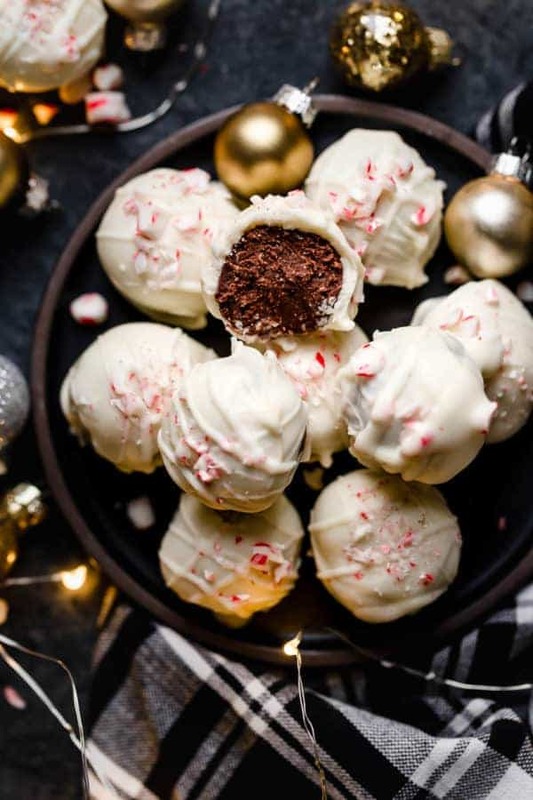 Close your eyes while biting into these Peppermint Brownie Batter Truffles and you will. Soft, chocolatey and rich they taste just like you’re licking the beaters after mixing up a batch of your favorite brownies with just a hint of mint. The best part? 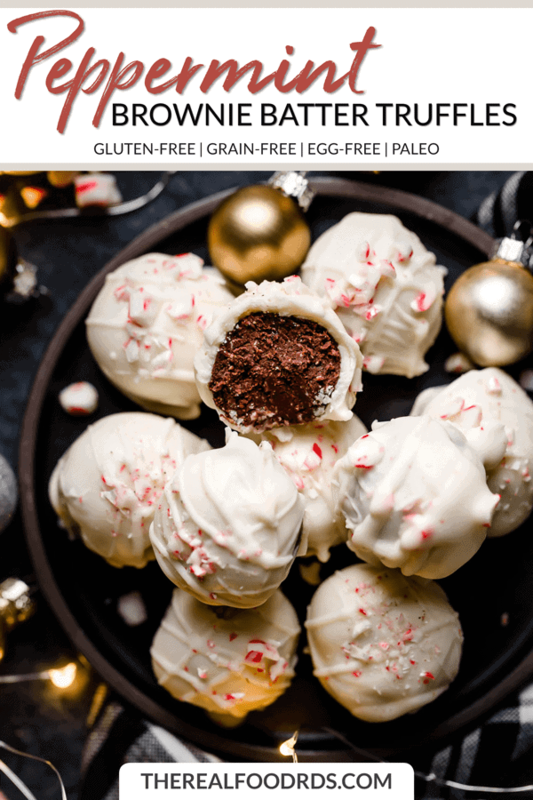 They’re made with wholesome, real food ingredients like almond butter, coconut oil, maple syrup and raw cacao so you can feel good about indulging in (and sharing) one or two this holiday season. The most wanted “cookie” on the holiday treat tray. You know it’s true. There’s always that one cookie on the holiday tray that you know you need, but you arrive at the table just as someone takes the last one. Dang it! Except it’s not a cookie, it’s a truffle and you know that whatever its white chocolate shell is disguising it’s going to be delicious. Make these. Make these now. 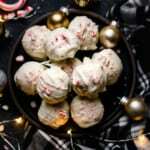 Whether it’s a holiday gathering or you just feel like having a sweet, satisfying and refreshing treat at home, you won’t regret making these easy 10-ingredient goodies. And because we know you’ll share, regardless of why you made them, we highly recommend making a double batch and stashing a couple in the back corner of your fridge so you have a chance to enjoy them, too! 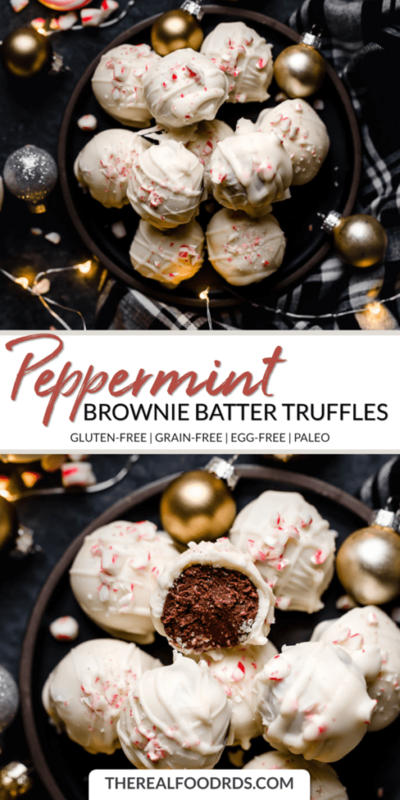 You’ll never guess that the base of these truffles are made only with wholesome ingredients because they’re just like licking the spoon after mixing your favorite rich and chocolatey brownies with a pleasing tingle of mint. They should probably come with a warning, they’re that good! 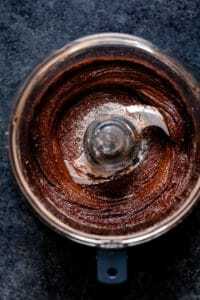 Place almond butter, coconut oil, maple syrup and cacao powder in the bowl of a food processor. Process until smooth, stopping to scrape down sides as needed. Stop processor and add coconut flour. Process just until a ball of dough starts to form. Add peppermint extract and process again until mixed well. May need to add an extra 1/2-1 Tbsp. of coconut flour for dough to come together. Working quickly, roll dough between your palms to form 12 equal-sized balls. Place on plate in the fridge and allow to chill at least 30 minutes. When ready to dip, place chocolate chips and coconut oil in glass bowl set over a pan of simmering water to simulate a double boiler. Stir occasionally until completely melted and smooth. 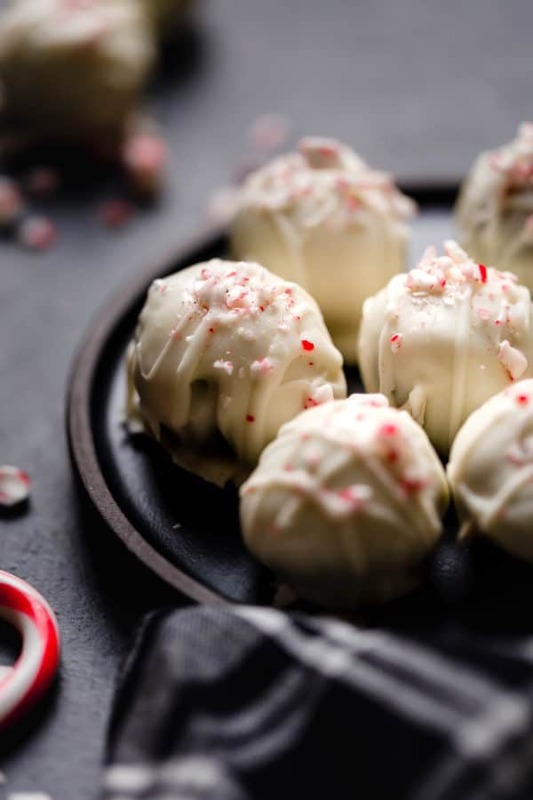 Using a fork or wooden skewer, work quickly and carefully dip truffles one at a time into the melted chocolate, rolling and dunking until evenly coated on all sides. Sprinkle with crushed candy canes, if desired. Transfer to a parchment lined baking sheet and return to the fridge until chocolate hardens. Store truffles in a covered container on the counter for up to 3 days or in the fridge for up to 2 weeks. 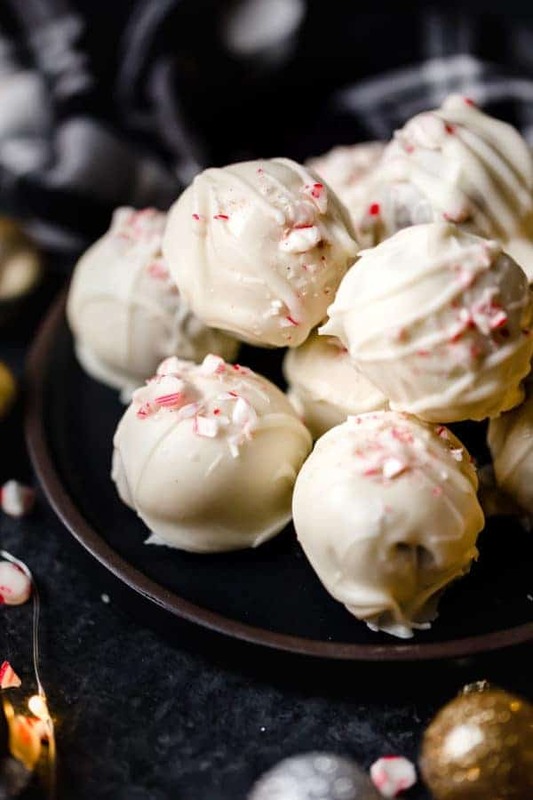 If refrigerated, allow truffles to sit at room temperature for 20 minutes before serving to allow centers to soften a bit. What’s your favorite holiday cookie? We love cookies so tell us all about your favorites in the comments below. 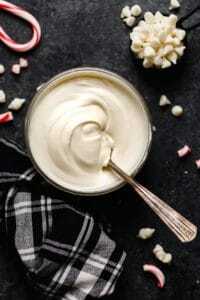 Would this work with dark chocolate dip? Can I use Bob’s Red mill “Paleo baking flour” instead of coconut flour? Can I just double the recipe or do I need to make each batch separately? 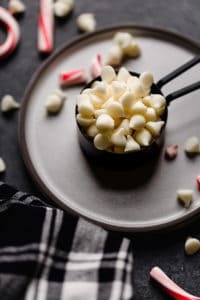 Can’t wait to make these instead of peppermint bark this year and include them in my goody boxes for friends and teachers! Thanks! You could cure try! We have not tested this recipe with BRM paleo baking flour. IF you did give it a try, let us know how it turns out!